Experience the best of Australia and New Zealand on an unforgettable tour filled with fascinating wildlife, dramatic scenery, and the region’s favorite cities. Dine aboard the Colonial Tramcar Restaurant as it winds its way through the city streets of Melbourne (a special experience included by Globus), and lose yourself in the city’s boutiques and decadent food and wine scene. From the laid-back seaside town of Port Douglas, a full-day excursion takes you to the Great Barrier Reef to snorkel or to take a semi-submersible watercraft tour of the famous underwater world that explodes with color and marine life. You’ll also visit Hartley’s Crocodile Adventures for a guided tour to see native animals, including Cassowary, Wallaby, Quoli, and Crocodiles. 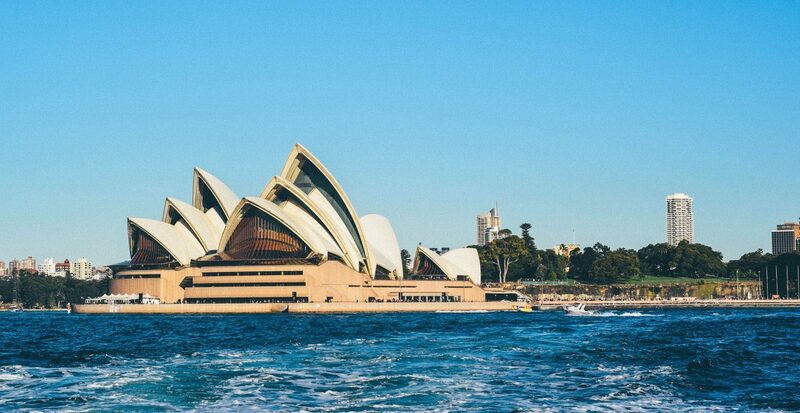 Go behind the scenes at the world-famous Opera House in Sydney and enjoy a spectacular harbor cruise. Throughout this Australia and New Zealand tour, Globus has also arranged out-of-the-ordinary adventures to make your vacation unique. For example, learn about the use of traditional plants during a dreamtime walk with an indigenous guide at Mossman Gorge. Or how about a wine-tasting and tour near Auckland? From the South Pacific’s must-sees to its hidden gems, this Australia and New Zealand tour is a dream vacation!